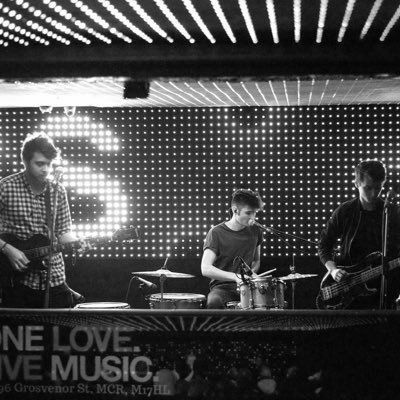 Templars are an English indie alternative band from Stockport, Greater Manchester. The band consists of Glenn Coope (lead vocals, guitar), Scott Kincaid (lead guitar, backing vocals), Kenny Chiu (bass guitar, backing vocals) and Jack Keogh (drums). The band formed in early 2016, with all members having a vast array of experience as musicians. Templars produces a unique style of music taking influence from all genres, having their own sound unrivalled by other artists. Their music includes vibrant melodies from catchy riffs and upbeat rhythms that get people moving. Original artist creating music from a range of genres such as Indie, alternative, pop and electronic. All members are based in Stockport, Greater Manchester and it is currently where the band rehearse. Members hold 10+ years experience in bands, gigging, recording and music theory.